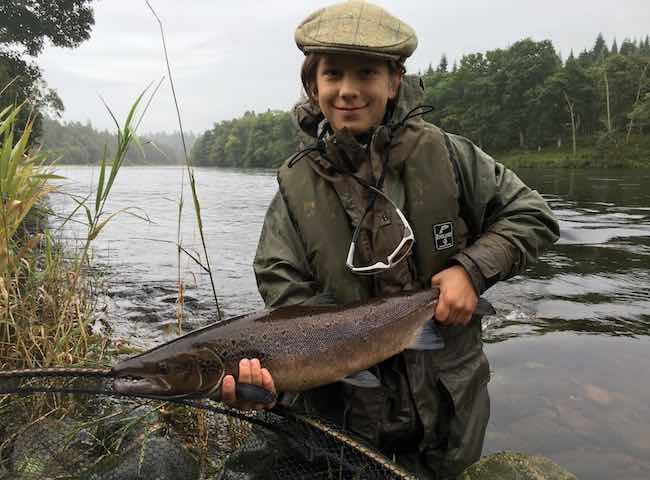 This perfect salmon was landed earlier this week on the fly by this young guest during his introduction to Scottish salmon fishing, It's always great to see young anglers receiving the correct instruction and experiencing early success. 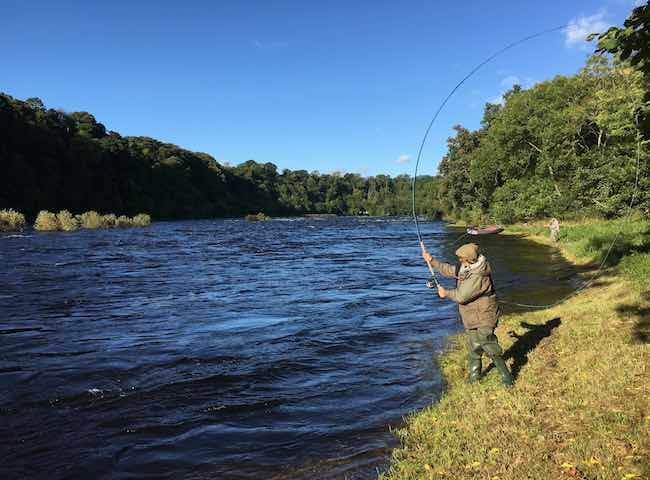 The natural beauty of the Tay's environment coupled with the excitement involved in catching a powerful Atlantic salmon are perfect components for a salmon fishing hospitality day. 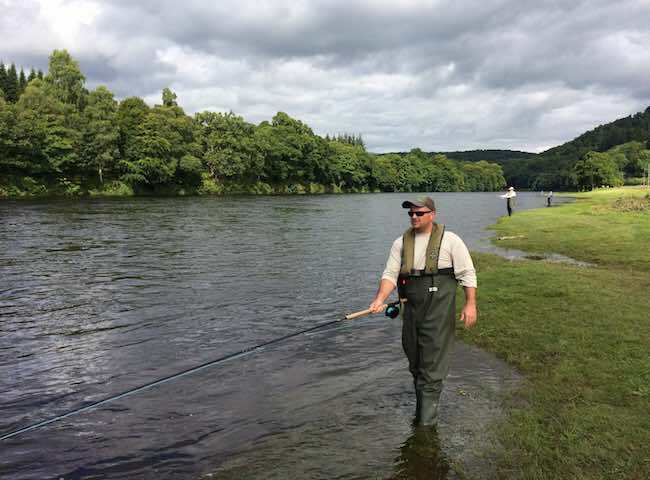 Learning the traditional Scottish Spey cast is easy and can be fully understood in minutes. There's something magnificent about delivering an effortless cast to the river in anticipation of an Atlantic salmon. 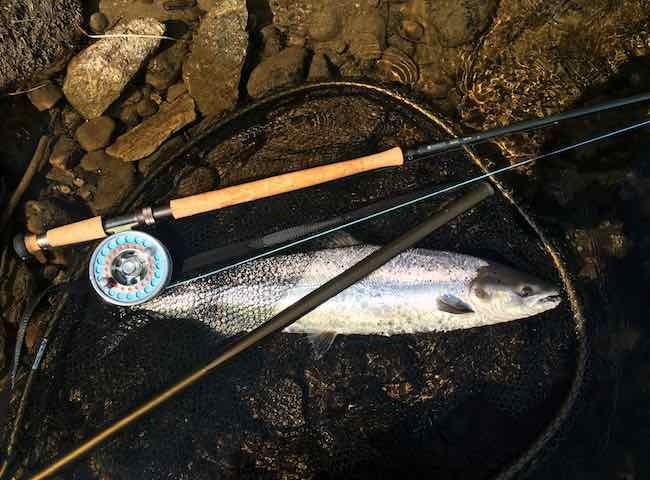 All of our salmon fishing event days commence with effective salmon fishing tuition to maximise your chances of an introduction to the King of Fish. 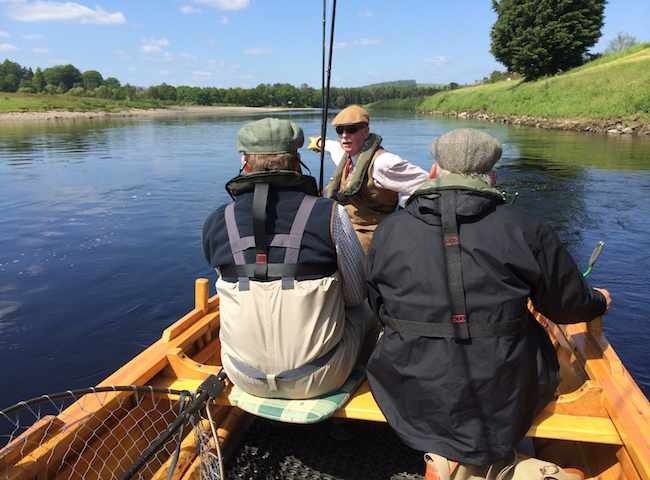 Try a new fresh approach to entertaining your key business associates via a fully serviced salmon fishing event day on Scotland's most famous river. 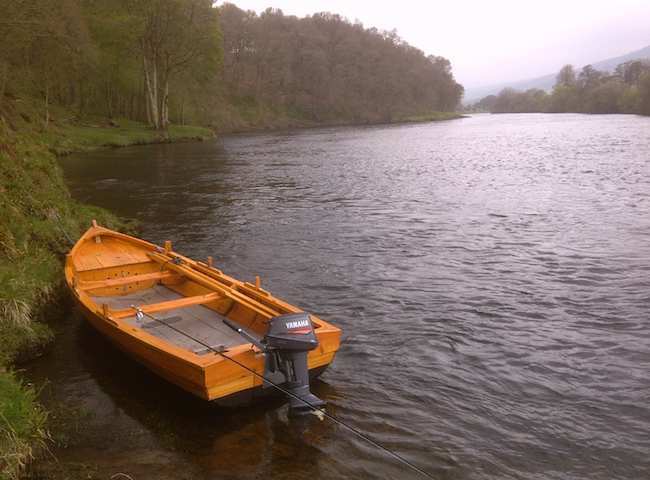 The Tay has its own unique style of salmon fishing boat which can be utilised for various different salmon fishing approaches. 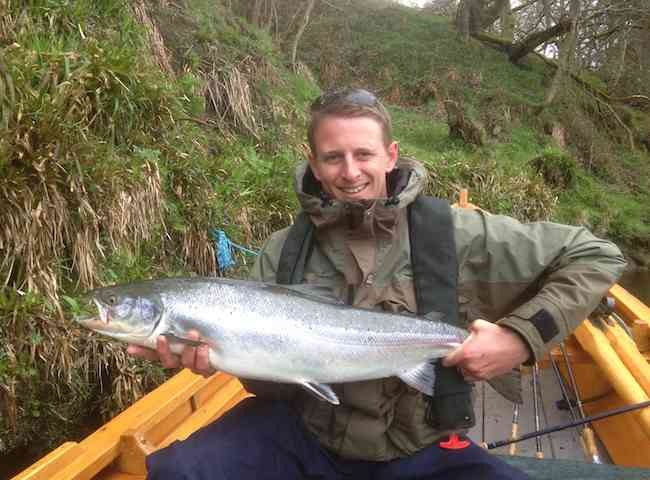 All of our salmon fishing event days include the use of one or more of these. 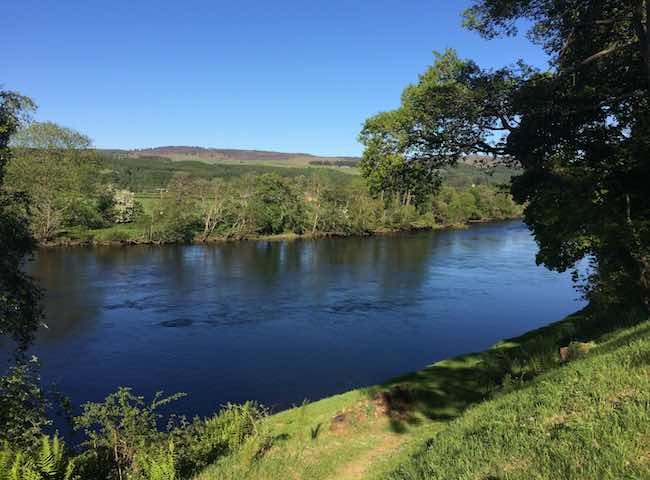 Here's a glorious shot of the beautiful River Tay near Pitlochry. The Tay Valley has a unique variance of salmon fishing venues and first class accommodation. 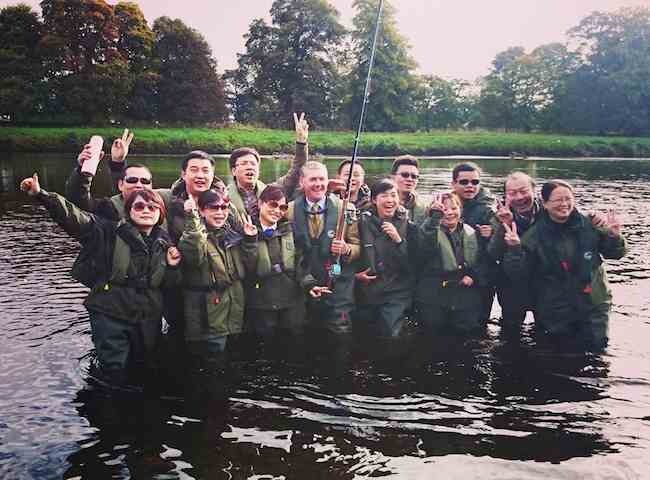 Book an exciting fishing day on Scotland's most famous salmon river for your business colleagues with a Michelin starred chef lunch on the beautiful banks of the River Tay. 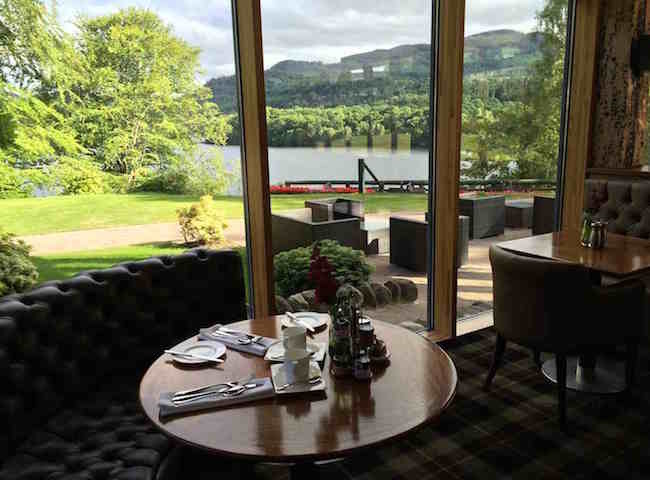 There's no better way to start your salmon fishing event day than with a quality cooked breakfast in one of the Tay Valley's luxury fishing hotels. Catching one of these perfect creatures on a fly rod is a real thrill from the natural world and should be experienced at least once in your lifetime. 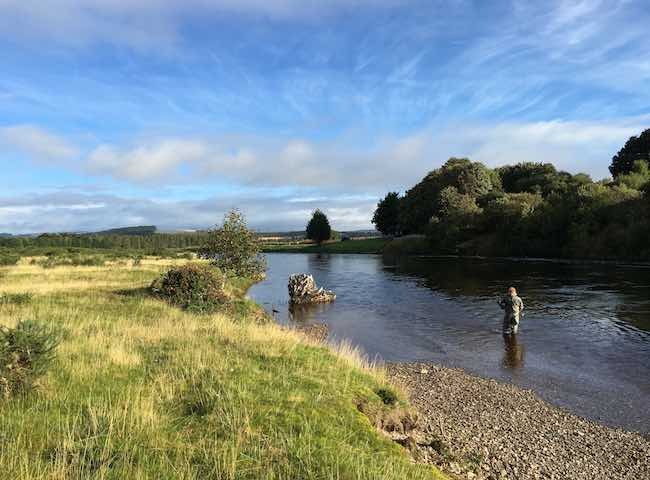 All of our salmon fishing event days commence with proper salmon fishing tuition which is delivered by our team of 'time served' professional River Tay salmon guides.